The Dada Digest is the monthly newsletter that covers the previous month’s activities and upcoming schedule for Dada.nyc, a collaborative drawing platform built on the Ethereum blockchain. Subscribe here to receive their monthly updates by email. You can find their original submission here on their Medium page. This is the month in which we finally cut the cord with the Facebook integration on our page. From now on, people will no longer be able to login to DADA through their Facebook profile and will have to do it with their email address. You can read about our reasons here. There have been a few bumps getting some of those users through the transition but we’ve gotten lots of support from our community about this move. We get a sense that people are disenchanted with Facebook. If you have any problems logging in, please contact judy@dada.nyc. Judy spoke about DADA, art, and blockchain at the New Art Academy’s NYC ArtTech + Blockchain Connect conference. This was a full day of all things art and blockchain with fine arts people mingling with tech creatives, which is always fun. What we love best is to hang out with the fantastic people who are part of the blockchain art community. 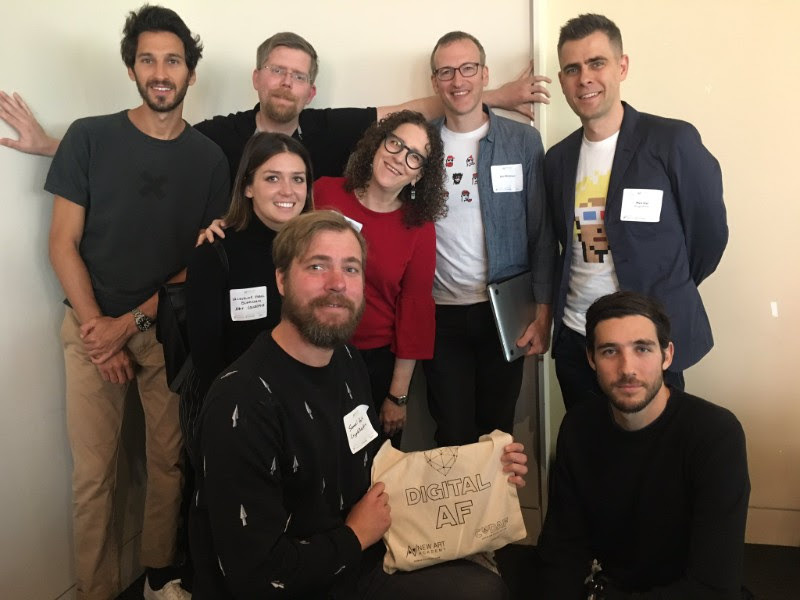 Below from left: Michael Saltzman, our Product Lead; Jason Bailey, DADA advisor, John Watkinson and Matt Hall from Cryptopunks and Choon, Jackie O’Neill from Blockchain Art Collective, Judy Mam, our co-founder, Sam Holt, and Eric Markfield, our UI designer. Here are some visual conversations this month. Now it was Abraham Milano’s turn to shine. 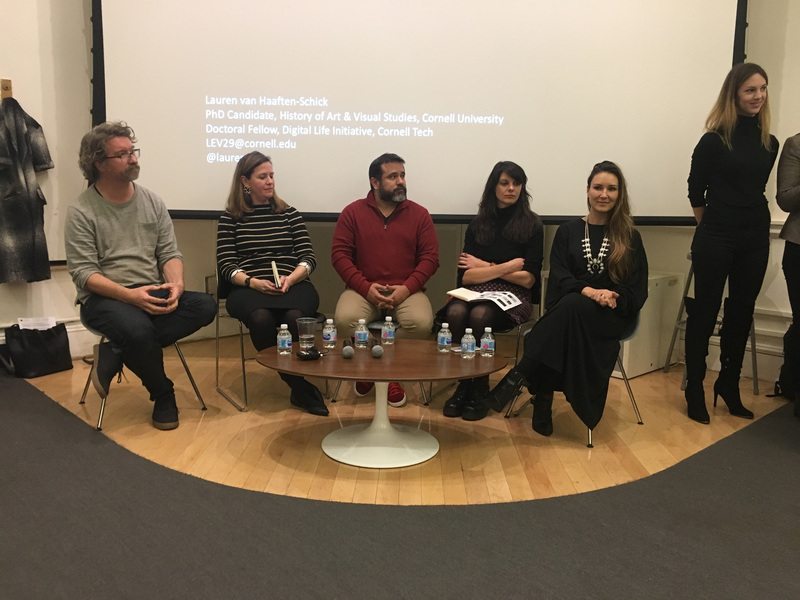 He was invited to an NYU colloquium about “Blockchain, Contracts and Artists’ Participation in Markets,” moderated by Amy Whitaker. He was outstanding, and no doubt enjoyed a respite from coding all the NFT smart contracts he and our developers are working hard to get ready for our expanded marketplace. Meanwhile, back from her travels around the world, Beatriz participated at a panel at Brooklyn Tech Week, moderated by Jim Waugh. We believe it’s essential to inform as many people as possible about blockchain and how it works for art and artists. Judy had the pleasure of attending the Binary/ Non-Binary show at the Geste gallery in Paris where our friend John Watkinson from Cryptopunks had a work in the collective exhibition, which had an open call judged, among others, by our advisor Jason Bailey, AKA Artnome. 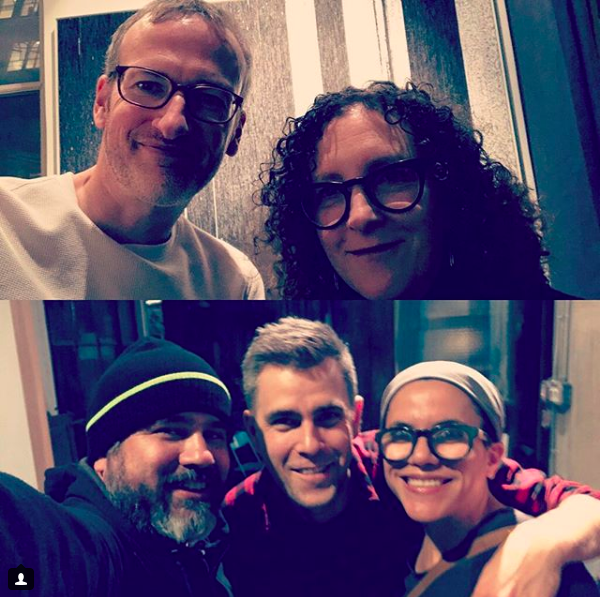 Meanwhile in New York, Bea and Abraham hung out with Matt Hall at a snark.art gathering. Nice! Nothing beats meeting our artists in person. This time it was the talented Alex Henry, his lovely wife Kassie and their fabulous baby girl, all the way from North Carolina. 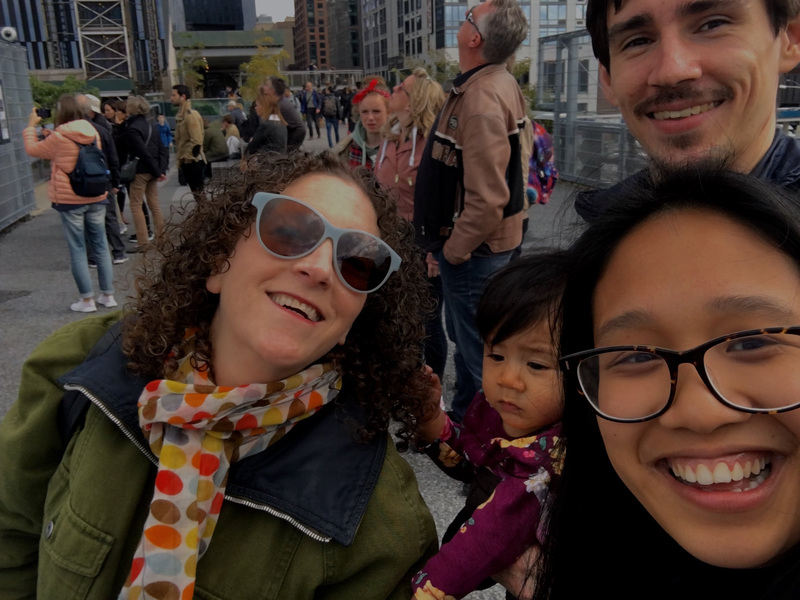 We had tapas, went gallery hopping and to the High Line and had a blast. Alex very generously gave us one of his original paintings and he made a drawing, which we added to our DADA scrapbook. Imagine a DADA museum with original works by our artists! Judy will be speaking at a panel at the Blockland Cleveland conference, December 4. Then she will hop to Miami right in time for Art Basel Miami and a panel moderated by Elena Zavelev at the Pinta Art Fair of Latin American art on December 7. Bea will be part of an all-female panel about Value and Art in a Tokenized World at SXSW in March and at Geste Gallery in Paris next Saturday, 11/24 at 4 pm. We bet that there will be more opportunities to spread the word about DADA and art on the blockchain.